The whole “robots taking your job” is a serious concern. Yes, most of what you’ll see about it is overblown clickbait, but it’s a real thing and it is getting real for more and more people all the time. Stories about it almost always have the air of the typical labor vs. owner trope, of careless capitalists using up and tossing out the people who created productivity and profits for them. Well that may be the case sometimes but not always. In fact, sometimes it is the opposite. There are jobs that we should desperately want robots to take as quickly as possible. The perfect examples for this are the jobs assigned to soldiers. Soldiers are people first and foremost of course, but they’re also an investment. It’s estimated that from the time a person enlists until they complete basic training, $50,000 to $70,000 has already been invested in making them combat ready. And those costs keep adding up. The average cost to maintain an active-duty soldier rose 31% from 2000 to 2014 to $99,000 per year, according to the Congressional Budget Office. That cost jump is nothing compared to what is coming. The CBO report estimated it would be $170,000 per year in 2017, then $215,000 per year by 2030. As citizens and family members, we want to keep soldiers out of harm's way as much as possible. As taxpayers, we do as well, because that means we can deploy fewer soldiers. Automation allows us to say “bring them home” without also requiring them to abandon their missions. We’re all familiar with the large drones that reduce costs and keep pilots out of harm's way after a decade of seeing them in action. What we’re not familiar with are the many other vehicles of all shapes and sizes being fielded now. They range from the small and life-saving to the large and labor-saving, and they’re taking up both the riskiest jobs of G.I.s and most mundane duties of supporting troops. The Army just invested $2.6 million in these Black Hornet drones. They weigh just 32 ounces — about the same as a basic light bulb — have regular and thermal microcameras, and can fly out to a distance of two kilometers. It is the first order of many to come through the Soldier Borne Sensors program, which aims to provide front-line soldiers with more data and situational awareness. 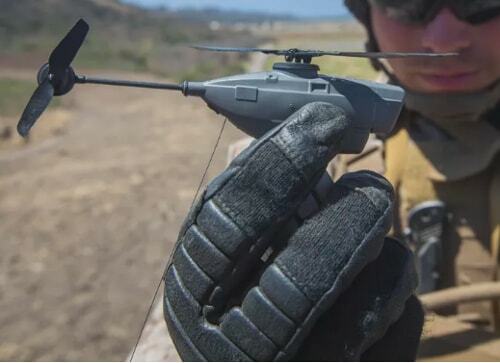 These drones will save lives by giving soldiers on the ground the information they need to avoid ambushes and safely deploy without putting a single scout in harm’s way. Then there are autonomous trucks the Army is planning to deploy next year, far ahead of its original time frame. 60 of these trucks are going to be sent to Fort Polk, LA and Fort Sill, OK.
They’ll also keep many soldiers out of the convoys that have been plagued by IEDs for over a decade now. This is just the start. Drones and autonomous vehicles are being researched and tested on land, in the air, and at sea. Vehicles like the F-35 with price tags going over $80 million per plane and a total of $1.5 trillion over 55 years for the entire program are going to be a thing of the past. There will always be a crucial role on the front lines for people, but there are going to be far fewer of them and they will be exposed to far less danger in the very near future. As the Outsider Club’s Jason Simpkins learned at a defense industry conference recently, Army robotics spending alone will ramp up from $17 million to an estimated $327 million next year. These things save lives and they save dollars. It's a no brainer and the Army and the other military branches are going all-in. That is great news for soldiers, their families, and taxpayers alike. It is also fantastic news for investors who get in on the trend. A massive wave of research and spending is coming, and first-mover companies with the right experience and technology will deliver windfalls as robots take over a wide range of jobs across the entire military. Adam's editorial talents and analysis drew the attention of senior editors at Outsider Club, which he joined in mid-2012. 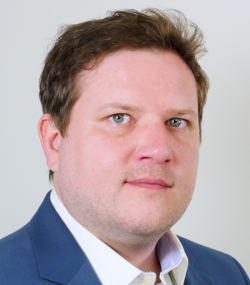 While he has acquired years of hands-on experience in the editorial room by working side by side with ex-brokers, options floor traders, and financial advisors, he is acutely aware of the challenges faced by retail investors after starting at the ground floor in the financial publishing field. For more on Adam, check out his editor's page. China is a country where a single party has an iron grip on power, and it uses that ruthless authority to gain any advantage it can. And keeps everything close to its vest. That’s why it doesn’t talk about Rongke Power’s drive for “infinite energy” – a source of power that is limitless; a battery that doesn’t die.